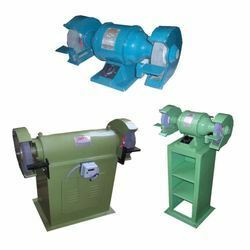 Prominent & Leading Manufacturer from New Delhi, we offer tool post grinder machine, bench grinder machine, pedestal grinder machine, bench polisher grinder machine and buffing grinding machine. ‘JMTC’Tool Post Grinder Machines are used on Lathes for operations like Cylindrical External /Internal Grinding, Face / Radius / Surface Grinding. 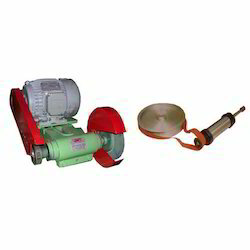 Tool Post Grinder Machines are complete with Sturdy Guard, Motor & Spindle Pulleys, V belt, Belt Cover and Grinding wheel with Wheel Flanges and Electric Motor with switch as standard equipment. 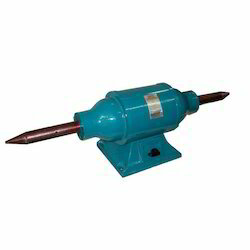 These types of grinders are designed using superior quality raw material and are procured from the most reliable manufacturers of the industry. They come in Range of External Grinders from 6" to 10" Wheel size. These types of grinders are designed using superior quality raw material and are procured from the most reliable manufacturers of the industry. JMTC Bench Grinder are used in various industrial applications for specific purposes. 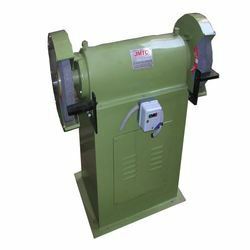 The Bench Grinder offered by us are manufactured using superior grade raw material and progressive technology in adherence to the latest market norms. 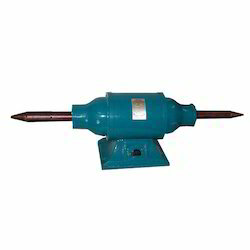 It is used for grinding edges of metal and many more purposes. The machine which we provide to the customers is thoroughly tested for it’s quality and workmanship and sturdy in design. ‘JMTC’ Bench Polisher is made by using standard quality material to ensure smooth and heavy load bearing capacity. All the parts are precisely machined for proper fitment and quality of the assembled machine.The Bench Polisher is economical in rates, durable in load bearing capacity and long working life. The machine is available from 0.5 hp to 7.5 hp capacities and are used in a range of applications from polishing wood, brass, stainless steel etc. We are offering a wide range of Buffing Grinding Machine. Buffing Grinding Machine comes in various sizes.